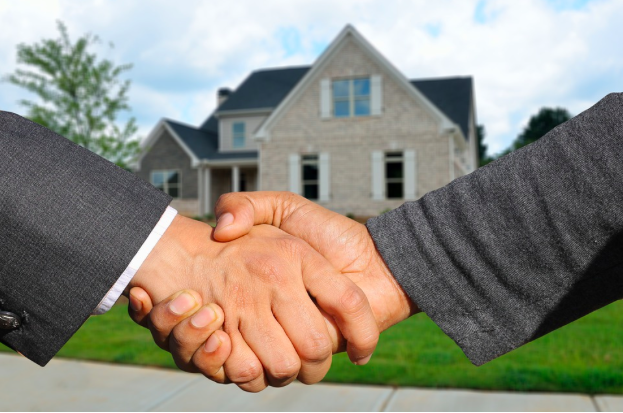 Your estate agent plays a huge role when it comes to selling your property! It’s important to keep them onside if you want them to make a great effort to sell your home. You obviously want to make sure they are doing everything in their power to make a sale, but you need to approach it in the right way if you want success. You should definitely communicate frequently with your estate agent for regular updates on your property – Has there been any inquiries? What feedback have you received from viewers? Nonetheless, you should never be accusing with your tone. Don’t give them the impression that you feel they are not doing their job correctly. This will only make them more reluctant to speak to you! Instead, you should be friendly, optimistic, supportive and encouraging. By doing this, you will be one of the clients they want to speak to and they will approach selling your property with a greater level of enthusiasm and positivity. Of course, in an ideal world, every estate agent would take this approach to every property. But it just doesn’t happen like that. It is also a good idea to ask for their advice and genuinely listen to what they have to say. They will feel more confident about suggesting other ideas in the future. Share your plans with them. Make it a bit more personal. If they know why you are moving they could feel more compelled to help. Timing is everything. 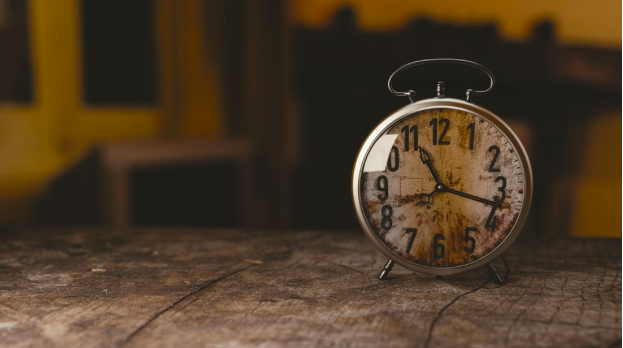 Did you know that the time of year you put your property on the market can make a massive difference when it comes to selling? It is all about knowing when to strike! So, when is the right time? Well, it all depends on your buyer! Is your home a family home? If so, you are likely to attract buyers when children are in school – either spring, early summer or autumn. Most families do not want to view a property whilst a screaming child follows them around! What if your home appeals more to singles and younger couples? If this is the case, then you are best off putting your house on the market at the very beginning of the year. But don’t expect to secure the deal straight away. This type of buyer likes to take their time before making a decision. Who can blame them? It’s unlikely they will have purchased many properties before! Last but not least, if you are selling a bungalow or a home that is suitable for a retired couple, you can expect a greater number of viewings during the summer months. The elderly do not want to endure freezing and icy weather to view a home. When you walk into a supermarket you will often see items priced at £1.99 instead of £2.00. This is done to make you think the item is a lot cheaper than it actually is. And, let’s face it, it works! So, a lot of people have applied the same strategy to pricing their home! Yet, can you really base the pricing of your property on the same strategy that’s used for an eight-pack of Cola? Don’t set your asking price at £499,999 instead of £500,000 or £999,999 instead of £1,000,000. Why? This gives off the sense that you are desperate to sell. It doesn’t evoke confidence in your home and what you have to offer. 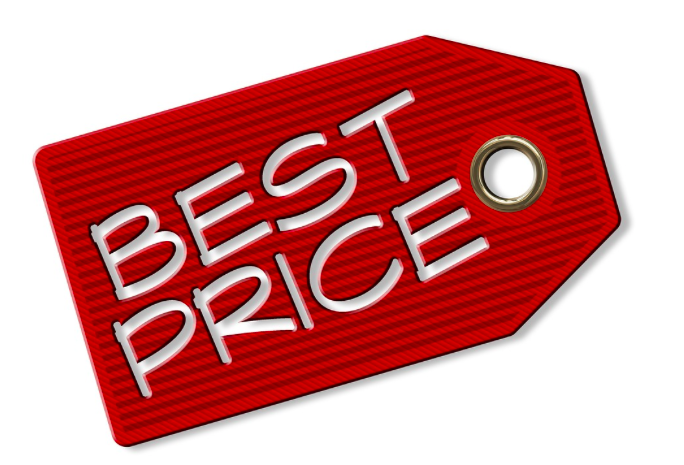 Do you really want to take the ‘Tesco’ value approach to pricing your property? Another disadvantage is when people search for your property on Rightmove or any other property portal or website. Most of these sites will have pricing at rounded numbers, i.e. people can look for homes between £400,000 and £500,000. If you set your house price at £399,999 you are pricing yourself out of this range. Yet, if you priced your home at £400,000 you would appear in searches for both £300,000 to £400,000 and £400,000 to £500,000. Therefore, you enhance your visibility and exposure. 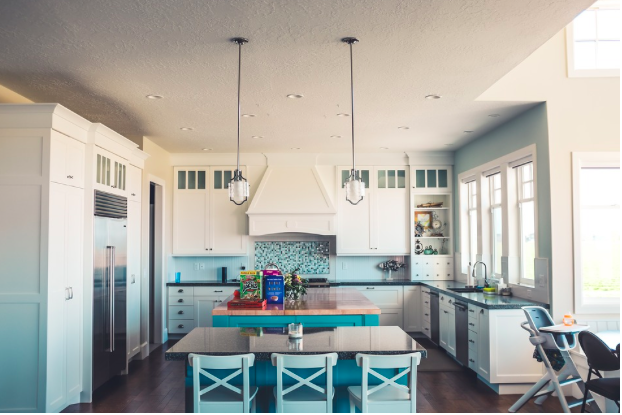 Add more lighting – One of the biggest downfalls you will discover in most kitchens is that there is not enough light! Light up the countertops for better visibility when preparing food. Why not consider installing a kitchen pendant light over the sink? Invest in a clean water pump – Ensuring the water is pure and healthy to drink from is another way to upgrade your kitchen. If you have any issues with your current set-up, look towards the likes of Davey Pump repairs to ensure this is fixed before your house goes on the market. Replace faucets – If your kitchen faucet is worn you should replace it. Re-paint or stain kitchen cabinets – Instead of spending money on re-surfacing the kitchen cabinets, you should simply strip the finished and re-paint or re-stain them. Of course, this only applies to wooden cabinets! Buy new pulls and knobs – You don’t need to buy new cabinets, as new hardware can transform the entire appearance of them at a minimal cost. Re-grout kitchen counter tiles – You will be surprised by how cost effective this is! It is the ideal solution for those that cannot afford to purchase new granite. So there you have it: the top four tips to help you sell your home! Most people are pretty good at making improvements to the interior of their home, mostly because it’s where they spend the most time. They have more of an opportunity to see all the areas that could be improved. But the exterior? That’s a different matter. Homeowners normally only return to their properties once or twice a day, and rarely take the time to inspect what areas could be better. 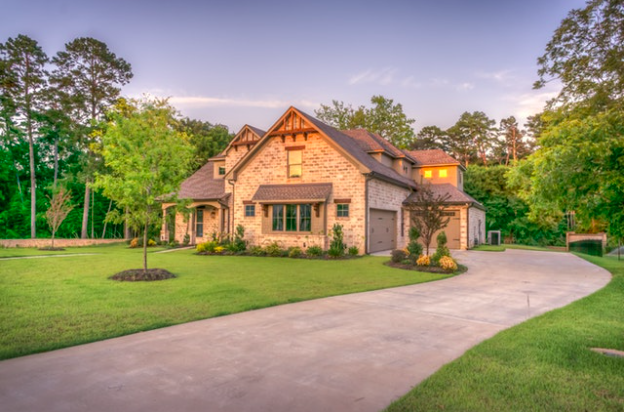 But your home’s curb appeal really is important: it influences the overall feel of the house, boosts value, and shows the world that you care about your property. Below, we take a look at four low-effort ways you can make the outside of your home better than it currently is. How much of a difference can a door make? Quite a lot, actually! If your current front door is looking a little bit tired and faded, then it’s time to get out the paintbrush and give it a bit of life again. The general rule, when it comes to homes, is that everything you paint should be neutral colors, but the rules are laxer when it comes to front doors. You can choose a color that’s a little bit bolder than your average; in fact, it’s encouraged. It’ll make your property stand out from the crowd. If you have a large front, then there’s a chance you look at it and think “I’d rather be doing anything else than making that look good all the year round.” And sure, that’s understandable: you have enough work to do, you don’t want to get onto your hands and knees when you return after a long day, and the weekends are for having fun and relaxing. Fortunately, it is possible to have a beautiful yard – front and back – without exerting any energy whatsoever. It’s all about working with the experts. Hire a residential landscaping company to handle the exterior of your property, and you’ll always have a beautiful outdoor space to greet you when you return home. And it won’t eat into your free time whatsoever. Your driveway will always be prone to accumulating dirt and grime, especially if you’re parking your car there. Over a period of a few years, your once sparkling driveway might suddenly look a little worse for wear. But fear not, because it’s usually just surface issues. Buy or rent a deep clean power washer, and you’ll be able to quickly blast all that dirt away. If you’ve put all this effort into boosting your home’s curb appeal, then show it off to the world. Outside lights are a great way to highlight your home throughout the night, and put it on display for all the people who walk past. And this approach comes with the bonus of deterring would-be criminals from targeting your home, too. Take the steps above, and you’ll have significantly improved the exterior look of your property. Is it now as beautiful as the interior?